DETROIT RUNNER....: Attn: CA runners and anyone visiting CA!!! Race entry GIVEAWAY! Attn: CA runners and anyone visiting CA!!! Race entry GIVEAWAY! 10 miles on the bike trainer today along with weights workout. Welcome back cross training!!! Of course, if I were living in California or visiting at the time, I would not be parting with these. 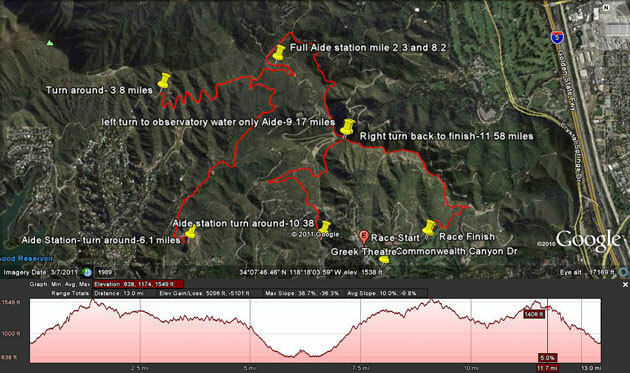 This looks like an incredible trail run. How can you go wrong running by the Hollywood sign? Packet pick up is either the day before the race or race morning prior to the start so you don't have to be really close and can still run this race. I'm pretty sure you are going to run some hills!!! Ha! The map for the 10k is not up yet but I'd guess that it's also a challenging run. All 10k runners received breakfast after the race, a tech shirt and a finishers medal. This will also be a chip timed race along with course support along the race course. You can't beat that! What to learn more about it? Please go to their website HERE for the half marathon or HERE for the 10k race. Three ways to win each race! Good luck. Contest will end Monday, July 9th at 5pm. * I received two race entries to the races in exchange for a posting about the race. All opinions are my own and I was not required to write anything positive about the race. Frankly, though, I wish I could run them. I'm not on Facebook, so I can't like anything, but I just wanted to say I think it's a wonderful giveaway and kudos to you for doing this. Anne - if you are interested, I will count you in the giveaway. I am going to amend the giveaway to also leaving a comment here for non facebook/twitter people. Thanks for being so considerate for us Luddites that are no longer into the whole Facebook thing. Count me in for the 10k! 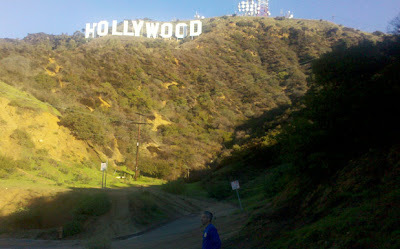 I've long wanted to run/hike in Griffith Park since moving to California more than a decade ago. I salute you coupled with two thumbs up for your generosity. It would really make my day very special if I could run this trail on my 40th birthday. Please include in the list. Thank you! This race would fit in perfectly between my LA Rock n Roll 1/2 and my Topanga Turkey trot! November 17 is my natal day. It would really mean so much to me and make my day very special if I could run this half marathon trail during this day. Totally awesome!!! I had absolutely no idea about this race so thanks for the info!!! I love running through Griffith park. 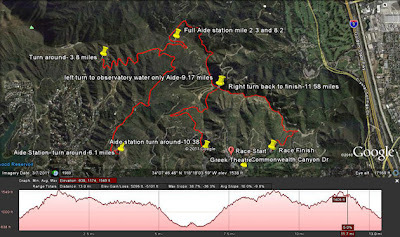 I totally need another entry for this race -- I "LIKE" Griffith Park Half Facebook page! !